The report considers the banking sector of six ASEAN countries, namely Indonesia, Malaysia, Philippines, Singapore, Thailand and Vietnam. It assesses disclosure by 34 listed banks against a set of indicators that represent the fundamental pillars of sound corporate governance practices (Board, Shareholders and Stakeholders, Disclosure and Transparency, Audit and Risks) and robust environmental, social and governance integration practice (Purpose, Policies, Processes, People, Products and Portfolio). ASEAN banks are key financiers of companies operating in the region which is home to two key deforestation fronts – Greater Mekong and Heart of Borneo – and is also very exposed to climate issues. These indicators are aligned to key international frameworks such as the UN Global Reporting Initiatives (GRI) and the Sustainability Accounting Standards Board (SASB). The report uses public disclosure in the English language [as of 30 August 2017] to consider information typically accessible to all stakeholders. 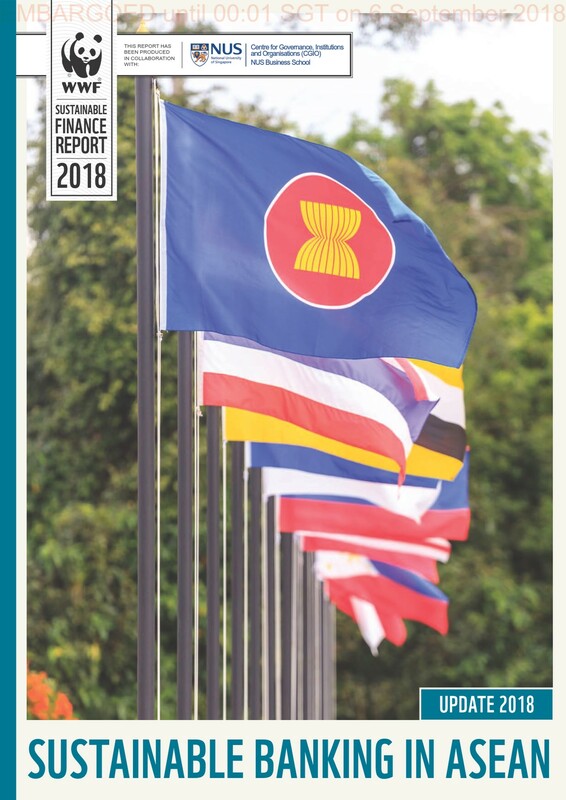 This report serves to investigate the sustainable finance landscape in the ASEAN region and highlight recent developments in the ESG integration progress of banks. Among the main objectives of the report are to highlight the potential for the finance sector to drive sustainable development in ASEAN with positive environmental, social and economic outcomes, and help stakeholders (shareholders, regulators and others) identify gaps and track banks’ disclosed progress and performance on corporate governance and ESG integration by comparing this year’s results against last year’s. This report is for banks, financial regulators and investors – specifically those who are in the position to drive change in the banking sector to promote robust Environmental, Social and Governance (ESG) integration for positive outcomes.